Two months seems like forever, yet no time at all when there is so much to do. My tentative goal for hitting the trail is September 21st — two months from today! I have some pet sitting commitments through September 19th then, after that, there is nothing to keep me from starting the adventure. My biggest chore before heading out is, of course, downsizing and getting rid of the majority of my stuff. I know what a monumental task this can be. I sold, donated and gave to friends so much of my stuff when I moved here four years ago. How can I still have so much? I still have boxes in my garage that haven’t been unpacked! I keep thinking, if I get rid of all my stuff now, how will I live here for two months? The reality is, as long as I have a chair and a computer, I can survive! So what fear is holding me back? I just need to start! I have been working on a few things. I’ve done a lot of measuring in the trailer and spent some time learning how things work. I’ve shopped, unsuccessfully, for some baskets and shelving for the cabinets. I have an upright freezer fairly full of food so I’ve been working on using that up rather than buying more and adding to it. I’ve also been working on a list of my “RV must haves” for the trailer – things I have at home that I need to keep. I’m sure this list will change and grow, but here is what I have come up with so far. If you have any additional suggestions of RV must haves, please let me know in the comments. A few months ago, I bought an Instant Pot Duo Mini. This is the perfect size for me to cook a main dish and have enough leftovers for a couple more meals. I still really haven’t gotten the hang of it because I don’t cook enough in it. But, I have to tell you, I love this thing if for no other reason than hard-boiled eggs. I love deviled eggs and egg salad but I had almost quit making them. I got tired of eggs that wouldn’t peal. This thing makes perfect hard-boiled eggs every time! This may seem like an unnecessary item to many, and it’s true, I do most of my slicing, dicing and chopping by hand. I mostly use my food processor when I need to grate a lot of cheese. However, on the road, it will serve a whole new purpose. Several years ago, I started feeding my cats a raw, homemade diet. I have a commercial grinder which makes whipping out 10 pounds of food quick and easy. Two problems with that. First, there’s no room in the freezer for that much food. Second, the grinder is large and very heavy. With the food processor, I can still buy larger cuts of meat (to save money) and not sacrifice their raw diet. I’ll have to make their food more often but it is definitely worth the effort. You can read here why I started feeding raw. The best benefit, as far as being in the trailer goes, is that their poo doesn’t stink! Yes, you read that right. No eye-watering stink when they poo. I’ve had my Vitamix for years and wouldn’t give it up for anything. It is so versatile. This thing can to anything from appetizers to desserts — and don’t forget the cocktails! Before I started keto, I made awesome smoothies almost every morning. I love that it totally grinds the ice and every part of the fruit and vegetables so there are no chunks. It makes hot dishes as well as frozen desserts. You know those tough ends you cut off your asparagus? Save them to make cream of asparagus soup in your Vitamix. Cooking meat in a skillet can make a mess. The Cuisinart Griddler cooks both sides of the meat at the same time with the lid closed, minimizing splatter. It makes great paninis and other grilled sandwiches. It opens up flat to become a griddle for cooking eggs, pancakes, etc. You can even get waffle plates for it to turn it into a waffle maker. This is a relatively small item so hardly seems worth mentioning here except that is a very handy item to have. If you have a dish that needs to be blended, it is so much easier to put the stick in the pot rather than transferring hot liquid to a blender or food processor. I use my immersion blender a lot when I make pasta sauce since I often use fresh vegetables in the summer. Mine came with a little chopper attachment that I mostly use to chop garlic. I’m really torn on this item. Although it is lightweight and has a relatively small footprint, it is not that small when it comes to the trailer. Also, I wonder if I’m not freezing much, will I have things I need to seal? I do use my FoodSaver for things in the refrigerator, like cheese, but will I be buying smaller quantities? I’ll have to give this item more thought. You can read my FoodSaver review here. Oh, my Keurig! What will I do without you? I love my Keurig and brewing one cup at a time, but it is quite large. They make a smaller model, which is about half the size of the one I have, but it is still not what I would call small. I made coffee using a French press for the first time at a friend’s house recently and am thinking this may be the way to go. I never drink more than two cups maximum in the morning, usually just one, so I don’t want a regular coffee pot. Do you have the perfect solution? I’d love to hear about it. I love to cook outdoors. Not only do you get a better view but it helps keep your kitchen cleaner and doesn’t smell up the interior. Years ago, my former significant other and I had a boat. We got a Magma stainless steel gas barbecue for it because, well, you just need stainless steel around salt water. It was a good investment. That grill is still going strong and I always take it on camping trips. I can’t say enough good things about my Shark vacuum. The first time I used it, years ago, I was amazed at what came out of my carpet. I have a Shark Navigator lightweight but I think if I ever had to replace it I might go for a cordless model for the trailer. I’m sure glad I went with the lightweight back then as it will fit into the trailer pretty nicely. Who could be without a power drill? My DeWalt 18V Drill has been a workhorse over the years. I have used it for so many projects. Well, there you have it. 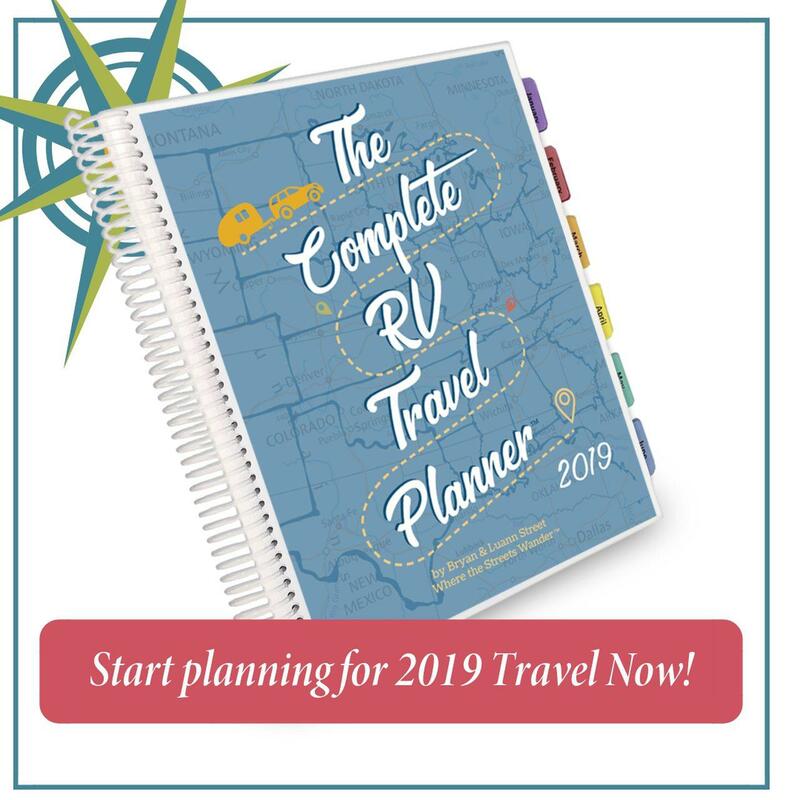 The list of things I have on hand that this newbie thinks are RV must haves. I also have a wish list of things I will need to buy! What would you add to the list as RV must haves? Come on, you experienced RVers. Help me out! It took me a while to figure out what you were talking about since this post is not about anyone with those names. I finally figured out you are referring to Milan and Victoria of Dobra Zemlja Winery. I’ll try to relay your message. Thanks for stopping by! I didn’t know Shark made kitchen stuff! I’ll check into that. I don’t think the Ninja could replace the food processor for grinding the cats meat but I could be wrong on that. I love my Vitamix and think it is more powerful than the Ninja, but if I didn’t have it, I would probably have gotten a Ninja. I’m a kitchen gadget freak and it is hard letting go of some of them!